A retrospective analysis has found that the presence of nearly any gram-negative bacteria is likely a risk factor for worse clinical outcomes in patients with interstitial lung diseases (ILD). In a new study to be presented at the 2018 CHEST Annual Meeting in San Antonio, TX, this week, a team of investigators from Beaumont Health Systems in Michigan reported that patients hospitalized with ILD face worse outcomes in mortality, intensive care unit (ICU) admission, and vasopressor use rates in the event of any gram-negative bacteria infection, excluding Pseudomonas Aeruginosa (PA). 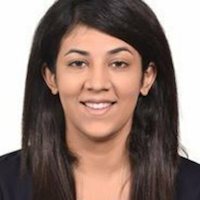 Led by Hira Iftikhar, MD, MBBS, investigators were working with the already evidenced fact that respiratory microbiome alterations are a predisposing factor for ILD. They instead sought to uncover the influence of bacteria’s virulence on such patients’ clinical outcomes, particularly in a hospital setting. Across the 472 patients, 789 inpatient visits were assessed, and 170 different cultures were collected. Respiratory culture specimen included sputum, bronchoalvalveolar lavage fluid, pleural fluid, endotracheal aspirate, and lung biopsy tissue. The most common diagnoses among the admitted patients were idiopathic pulmonary fibrosis (40.6%) and Sarcoidosis (27.6%). The plurality of observed respiratory isolates were PA (38.8%), MRSA (26.5%), and other non-PA Gram-negative pathogens (17.6%). Investigators noted that the use of immunosuppressant medications or anti-fibrotics did not influence the development of resistant pathogens. In observing for patient 30-day mortality, non-PA Gram-negative pathogens and MRSA were associated with a 39.3% and 31.8% prevalence, respectively. Vasopressor administration was again most prevalent in cases of non-PA Gram-negative pathogens (60.7%), as well as MRSA (24.4%). In consideration to rates of ICU admission, more than half (53.6%) of patients observed with non-PA Gram-negative pathogens were admitted. Though the greatest prevalence of intubation was observed in patients with MRSA (62.2%), a majority of non-PA Gram-negative patients (53.6%) also reported intubation. In multivariate logistic regression analysis, ILD patients who had Gram-negative pathogens excluding PA had higher mortality, vasopressor administration rates, and ICU admission rates after adjustments for ILD type, age, gender, comorbidities, and smoking history. While the finding that immunosuppressive mediciations or antifibriotics are not as influential in clinical outcomes is crucial, it is overshadowed by the discovery of non-PA Gram-negative pathogens’ burden on ILD patients in a hospital setting. Iftikhar called for follow-up analysis. The study, “Role of Respiratory Pathogens in Disease Outcomes in Hospitalized Patients with Interstitial Lung Disease,” will be presented at CHEST 2018. Click here to sign up for more MD Magazine content and updates. Copyright© MD Magazine 2006-2018 Intellisphere, LLC. All Rights Reserved.